Breast implants or breast augmentation is one of the most highly requested plastic surgery procedures in our Raleigh, N.C. facility. With 18 years of experience, Dr. Morea has augmented over 10,000 breasts. Breast augmentation, also known as breast enhancement or breast enlargement, involves the use of breast implants to enlarge the size of a woman’s breasts. There are two types of breast implants that can be utilized, a saline filled breast implant or a silicone gel filled breast implant. The major difference between the saline and silicone filled breast implants is that the silicone breast implant is the more natural feeling breast implant. However, a natural breast appearance can be achieved with either breast implants. All silicone gel filled breast implants are cohesive gel implants, however some have a greater degree of cohesiveness which will make them firmer. Silicone gel breast implants are also referred to as “gummy bear implants”. Both saline and silicone breast implants are approved by the Food and Drug Administration (FDA). Both types of breast implants can be an excellent choice for breast enhancement surgery. Breast implants come in a number of different shapes, sizes and profiles. There are two basic positions for breast implant placement. On top of the pectorals major muscle, also known as sub glandular, or under the pectorals major muscle, which is referred to as submuscular. The cost of breast augmentation will vary by geographic location, the type of breast implants chosen and the surgeon’s years of experience. During your consultation at the Morea Plastic Surgery Center located in Raleigh, North Carolina, you will meet personally with Dr. Morea and he will review many before and after photos of breast augmentations/breast implants that he has performed. Dr. Morea will help you determine which type of breast implants and cosmetic breast surgery will be best for you. You will have the opportunity to discuss your options with regard to size, shape, position and type of breast implants. 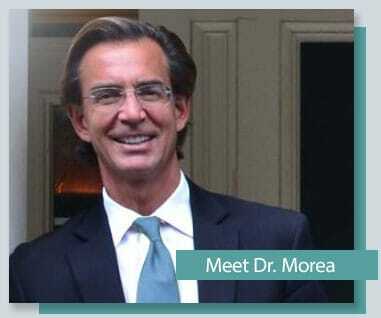 Dr. Morea will give you a personal tour of his North Raleigh plastic surgery center. At the end of your plastic surgery consultation, you will be given a quote for the exact cost of the breast enhancement procedure designed for you.